As one of the NHL’s original six teams, the Chicago Blackhawks have given their fans millions of heart-stopping memories, thousands of unforgettable stories, and now six Stanley Cup Championships with their recent 2015 win. Fans of this indomitable team can capture the excitement from the 20142015 season and relive all the memories of the beloved franchise in this newly updated edition of Tales from the Chicago Blackhawks Locker Room. From the Curse of Muldoon” to three championships in five years, the Hawks have a rich history. With all the charm and wit of a sportscaster who has been covering the Blackhawks for over sixty years, Harvey Wittenberg shares the greatest Hawks stories, including their 2010, 2012, and 2015 Stanley Cup title runs. Straight from the sourceplayers, coaches, and managersWittenberg offers an informative and entertaining look at the Chicago Blackhawks. 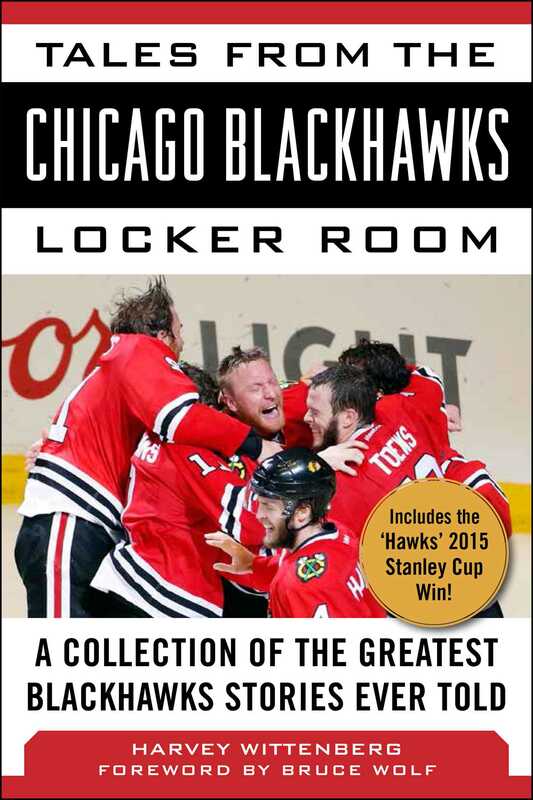 Tales from the Chicago Blackhawks Locker Room is a riveting treasure trove of tales sure to delight any sports fan.